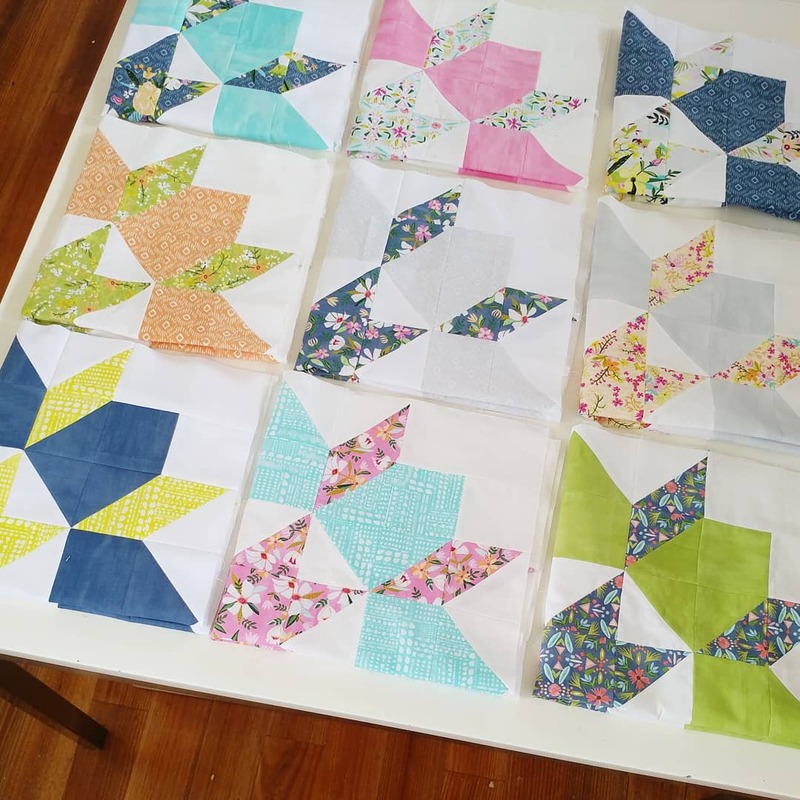 I haven't been blogging very much lately, but I have been busy sewing and finishing up a few of my WIPs. 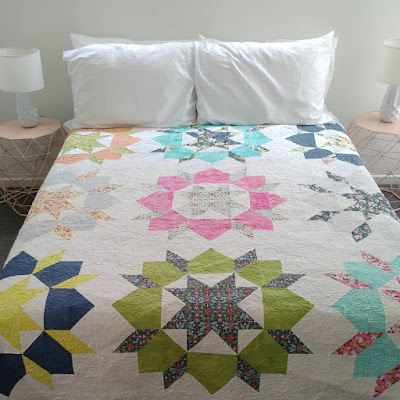 Today I'm thrilled to share my finished swoon quilt. 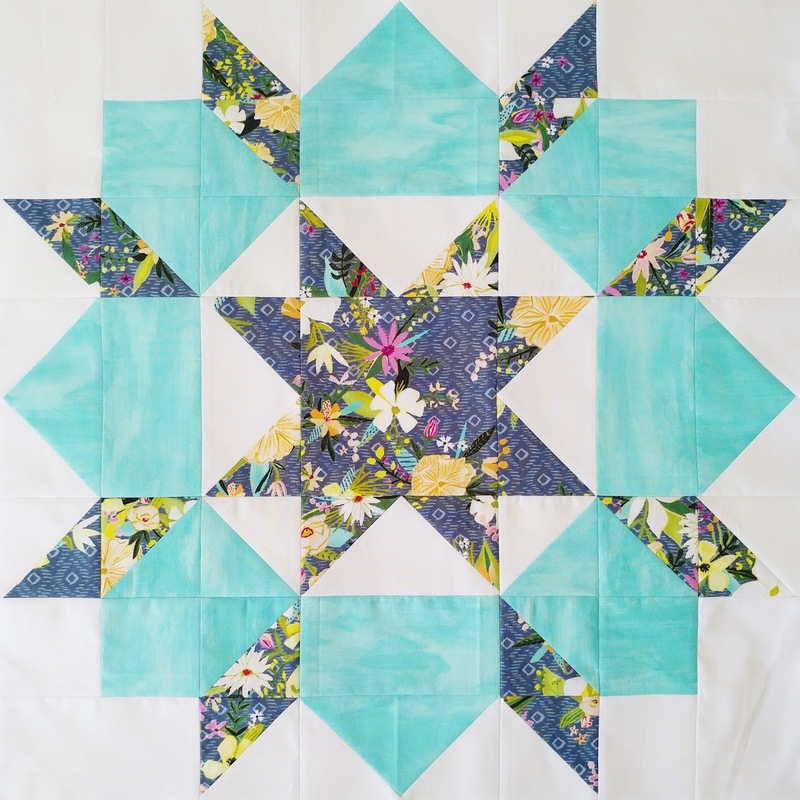 This was a quilt I started last year during a quilt along hosted by the pattern designer, Camille. However, I struggled to keep up with and the quilt along and once it was all over my project got put on the backburner. 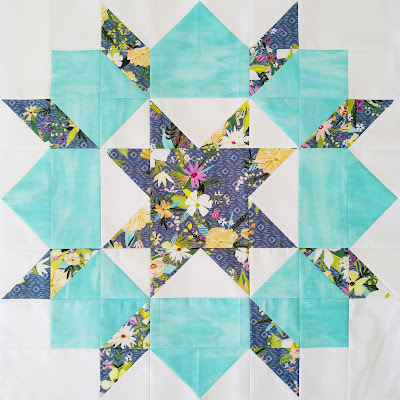 For my version I used prints from the Blush and Bloom collection by Iza Pearl Design for Windham Fabrics. 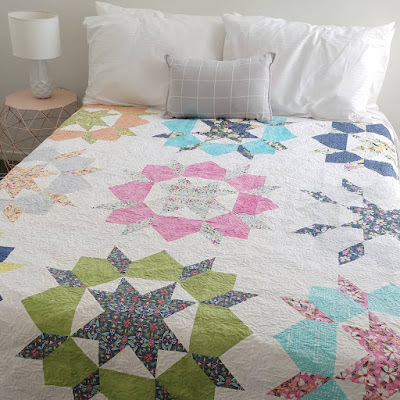 I just love the large scale floral designs and think these big blocks show them off really well. There's also 18 prints in the collection, making it perfect for a swoon quilt. I'm also pretty pleased with the quilting - I quilted it myself on my domestic machine. 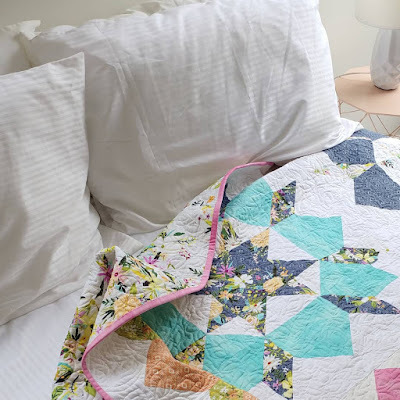 While it seemed to take forever, love the texture of the finished quilt. 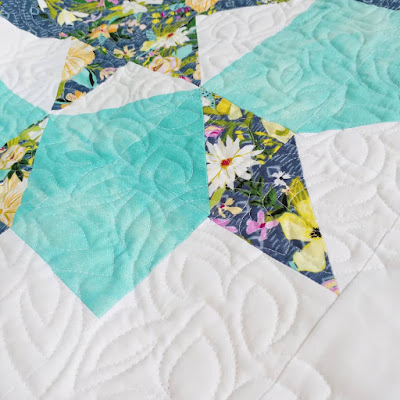 I'm linking up with the 2018 finish-along and Elm Street Quilts One Monthly goal as this was on my list of proposed finishes for quarter 1 and my specific goal for March. Just a quick post today to share my One Monthly Goal (hosted by Elm Street Quilts) for March. This month I hope to finish the swoon quilt I started over a year ago, using the Blush and Bloom collection by Iza Pearl Design for Windham Fabrics. 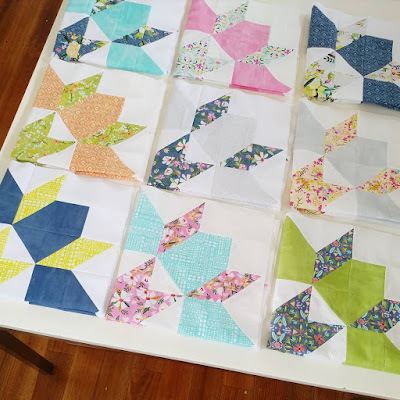 I've got all the blocks made and have just finished piecing the quilt top, but still need to quilt and bind. I'm looking forward to getting this one finished and on my bed.